You can pretty much tell what’s on a person’s mind by what they’re reading. I find this one of the most profound readings ever written. Talk about the ultimate “Quagmire” How do you plead your case in no win forum? His Wife is of no help, she says: “Why don’t you just curse God and die”. But instead, he “Vents”. This is the ultimate Rant of Rants. “I loathe my own life; I will give full vent to my complaint; I will speak in the bitterness of my soul. “I will say to God, ‘Do not condemn me; Let me know why You contend with me. ‘Is it right for You indeed to oppress, To reject the labor of Your hands, And to look favorably on the schemes of the wicked? ‘Have You eyes of flesh? Or do You see as a man sees? ‘According to Your knowledge I am indeed not guilty, Yet there is no deliverance from Your hand. ‘Your hands fashioned and made me altogether, And would You destroy me? ‘Remember now, that You have made me as clay; And would You turn me into dust again? ‘You have granted me life and loving kindness; And Your care has preserved my spirit. ‘If I am wicked, woe to me! And if I am righteous, I dare not lift up my head. I am sated with disgrace and conscious of my misery. ‘Should my head be lifted up, You would hunt me like a lion; And again You would show Your power against me. ‘You renew Your witnesses against me And increase Your anger toward me; Hardship after hardship is with me. ‘Why then have You brought me out of the womb? Would that I had died and no eye had seen me! 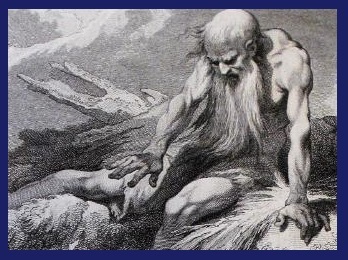 Even in his time of pain and despair; Job refuses to curse God. For Job knows that unlike those who will not respond to you, He knows God is silent for a reason. He knows God is Omnipresent and hears his pleas. I am far from the righteous man Job was and will always consider myself the worst sinner on earth. Yet I seek to as righteous as Job, yet deep inside, “I know me” and “God knows me”. In this case, Faith Truly is the Victory. ← 2 years and 60 pounds lighter – How?